I have seen so many unique forums avatars around here, and I wanted to see what the really are. I'll start; mine is from an episode of the alvin show from 1961, best cartoon ever (even simpsons). What are your avatars, guys? EDIT: wow, this post was from when I had around 15 posts, at most. Time has surely passed. EDIT2: wow, this thread is almost one year old now! Re: What is your avatar? Alvin... I am sure I heard about this before... I watched some old cartoons as kid, but maybe not that one. I remember watching Bugs Bunny, for instance, and Asterix movies. Mines a blank space. Blank spaces were invented in 1720 by a famous European artist named Eliahou von Starjenflag and gained popularity in North America during the Revolution. After the events in Roswell, New Mexico involving UFOs, blank spaces became less prominent in daily life, as space travel and aliens became the main focus of most Americans. They came back into the limelight shortly during the early years of Rock and Roll in the United States, but were ultimately overshadowed by Nirvana and Metallica, and slipped away into the shadows again. I use a blank space as my avatar to show respect to the hard battles that blank spaces won and lost before they became obsolete. I believe that someday, blank spaces will have their time, and I will be there to witness the awesome power of...nothing. It was made with Paint Shop Pro 5 for a school computer science intro class. Note that I barely had much computer knowledge at the time, though. The reason why I still use it as avatar today is for nostalgia purpose. 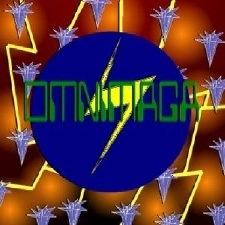 The blue Omnimaga logo dates back in 2004. No matter how many errors are bothering you, always try to stay rel-Axe! The HoMM project will be resumed as soon Axe 1.0.0 will be released! tiDE: [----------] Explored and understood the main part of the code: just started writing a Tokenizer. EDIT: oh, and hello there, alvin. i havent seen you around before (checks your posting record...) holy crap, 60 something posts in 2 days? Page created in 0.853 seconds with 62 queries.